Face scrubs are one of the best homemade remedies for blackheads. No need to use blackhead tools or harsh pore strips—both of these can damage skin and even leave your pores open to more germs and dirt, resulting in more black heads! Simply combine a few kitchen ingredients to create a powerful, all-natural treatment. 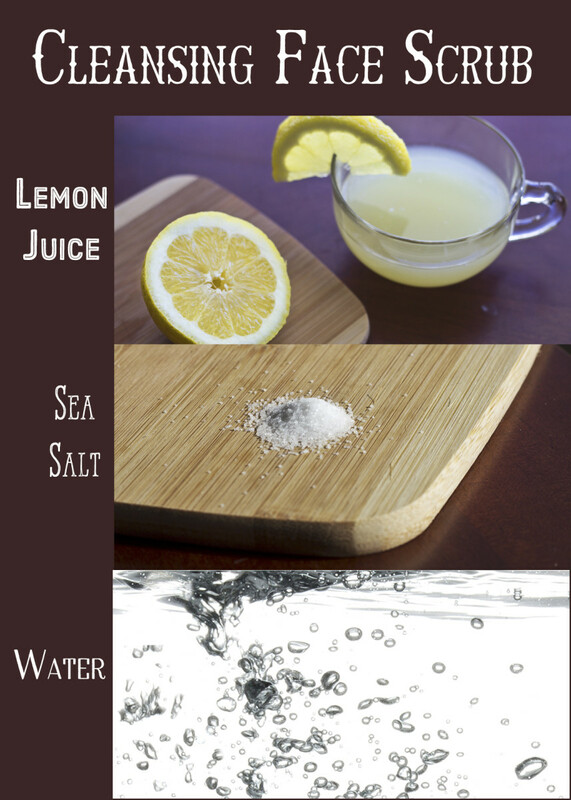 Use lemon and sea salt to exfoliate and dissolve blackheads on the nose, cheeks, and other areas. This lemon-and-salt face scrub is also known as the antibacterial face scrub. It uses two super blackhead-fighting ingredients: lemon and salt. Both are great for cleansing skin, leaving it fresh and dirt-free. Lemon removes all grime and dirt from the surface of the skin, preventing not only blackheads but also acne and whiteheads. Even the scent of lemon screams clean and fresh. Salt has antibacterial properties and can kill of the germs and bacteria that clog open pores. 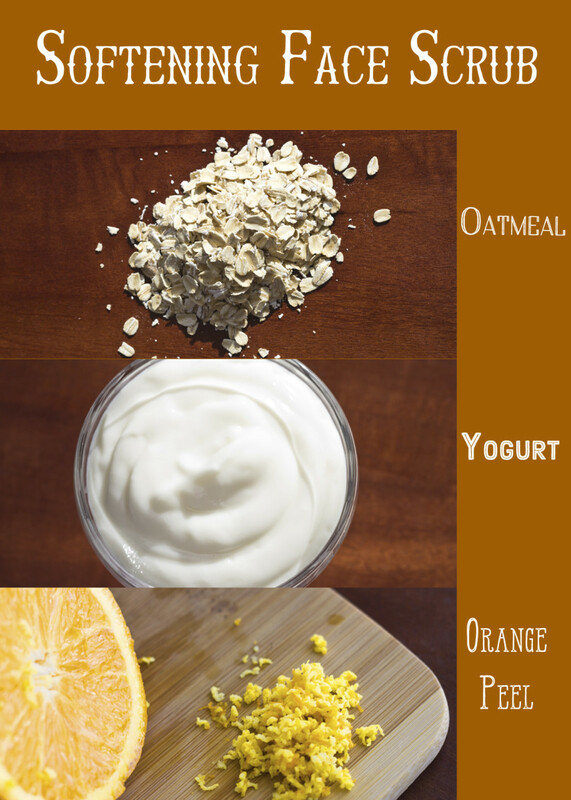 Combine the above ingredients in a small bowl. Using clean fingers, apply the mixture onto your face and massage in a circular motion. Don’t scrub too hard, as you don’t want a red inflamed face. After scrubbing for two to five minutes, rinse with warm water. Splash cold water to close up your pores. Pat dry with a soft clean towel. Your face will look amazingly refreshed, cleansed of all the dirt, excess oil, peeling skin, and dead cells. Don’t use too much lemon juice. It’s important that you do not use more than one part lemon juice for every two parts water. The citric acid in lemon juice is a natural astringent, but if used in excess, it can irritate your skin, giving it a burning sensation and turning it red. Change your pillowcases. If blackheads attack you often, you should try changing pillowcases every other day. Wash your pillowcases regularly because the fabric can collect oil and dirt from your face. Excess face scrub mixture. You can store your face scrubs in the refrigerator for up to one week. However, as soon as it starts smelling unpleasant, it is time to toss it out. Brown sugar is a great medium for exfoliation and keeps blackheads at bay! 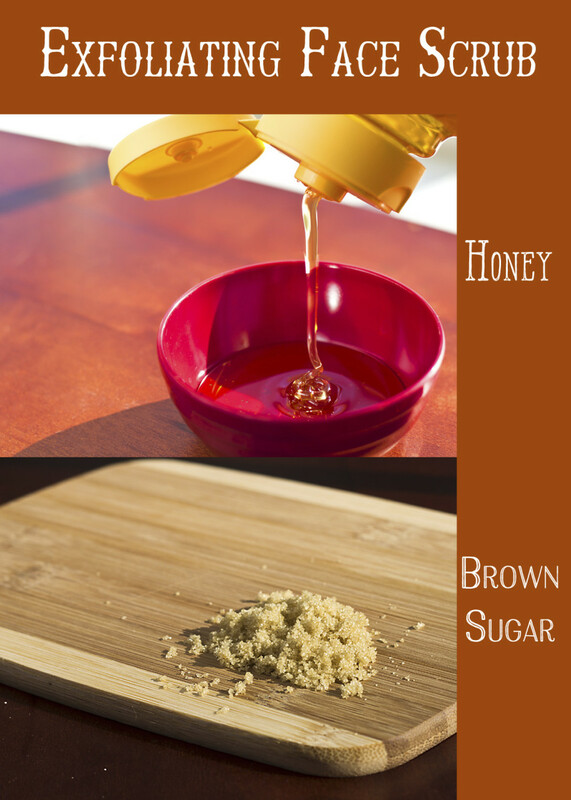 Brown sugar and honey are both yummy kitchen ingredients. Together, they work hand-in-hand to gently exfoliate skin. Brown sugar is safe for all skin types, so it is perfect for sensitive skin. Honey has been hailed since ancient times as a great natural remedy for many ailments including dry skin. In a small bowl, mix all of the ingredients well. Apply the mixture onto your face with circular motions, avoiding the area around the eyes and mouth. Keep scrubbing for two to five minutes. When you’re done, rinse off with warm water. Pat dry with a soft towel. If your face feels a bit dry, moisturize with a drop or two of olive oil. Stay away from harsh cleansers and soaps. Many face cleansers out there contain high amounts of chemicals and sodium lauryl sulfate (SLS), which strip your skin of natural oils. This causes your skin to compensate by producing excess oil, which clogs pores and creates blackheads. Steam your face beforehand. A facial steam will help open up pores and soften your face, enabling the blackheads to come out easily. Do this before using the face scrubs to push out blackheads faster. Don’t over-wash your face. Yes, washing your face continuously throughout the day is not the right way to prevent/get rid of blackheads. In fact, over-washing your face will give your more blackheads, not to mention acne and white heads. What’s the deal? Well, over-washing your face strips away most of the natural oils, inducing your oil glands to produce more oils, and excess oil is one of the causes of blackheads. Soften dead cells and blackheads with this mask, which also exfoliates your pores deeply and scrubs out the blackheads from the root. This oatmeal face scrub contains oatmeal, orange peel powder, and yogurt. 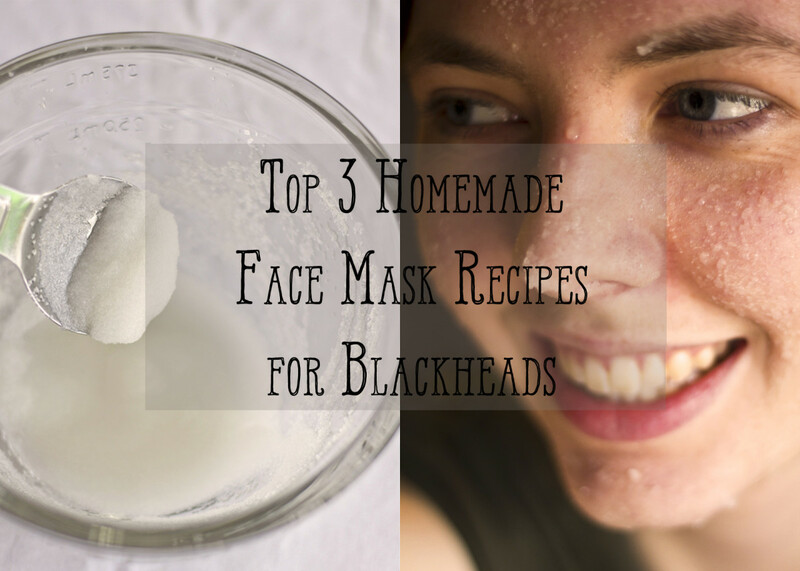 These three ingredients deep-cleanse, exfoliate, nourish, moisturize, and soften your pores, removing excess oil that would otherwise oxidize to form blackheads. Mix the ingredients thoroughly in a small bowl. Apply a thick coat of the mixture onto your face in gentle circular motions, focusing on the blackhead-infected areas. After two to three minutes, completely rinse the mask off with either a washcloth or your hands and warm water. If your face feels a bit dry and stiff, moisturize with a few drops of olive/coconut oil. Hands down. Touching your face can contribute to blackheads and acne. Keep your hands away from your face. Gather your hair away from your face. One way to easily prevent blackheads and clogged pores is just simply keep hair away from your face. Clean your face in the morning and at night. As much as over-washing your face is bad, you must wash your face twice daily: in the morning and at night. Use mild cleansers and these natural scrubs to safely get rid of existing blackheads and prevent further ones from occurring.